The account owner is the only user who can delete repositories and change plans and billing. You can change the account owner easily. All you need to do is login as account owner, click on the "Account" tab, then select the "Account Settings" tab. On this page, you will see the "Account Details" section. 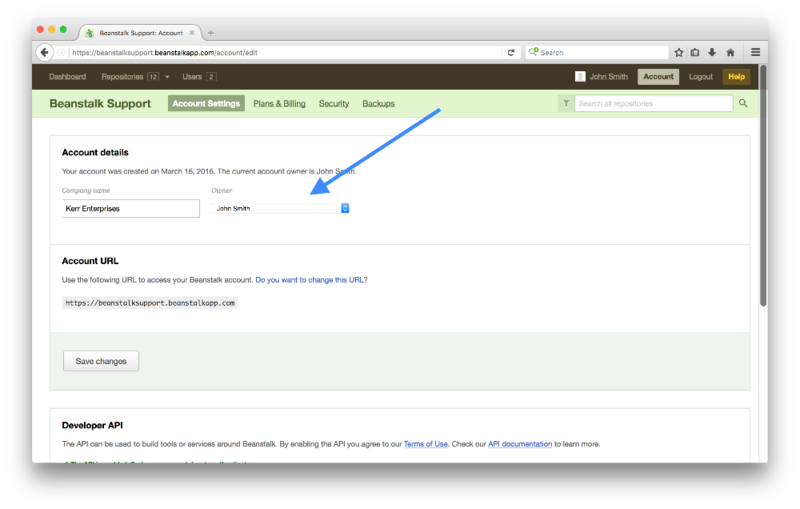 In this section, you will see a dropdown from which you can change the owner of the Account. Select the new owner from the dropdown, click Save changes and the Account owner would be changed. Keep in mind that once the change is made you will no longer be the account owner.